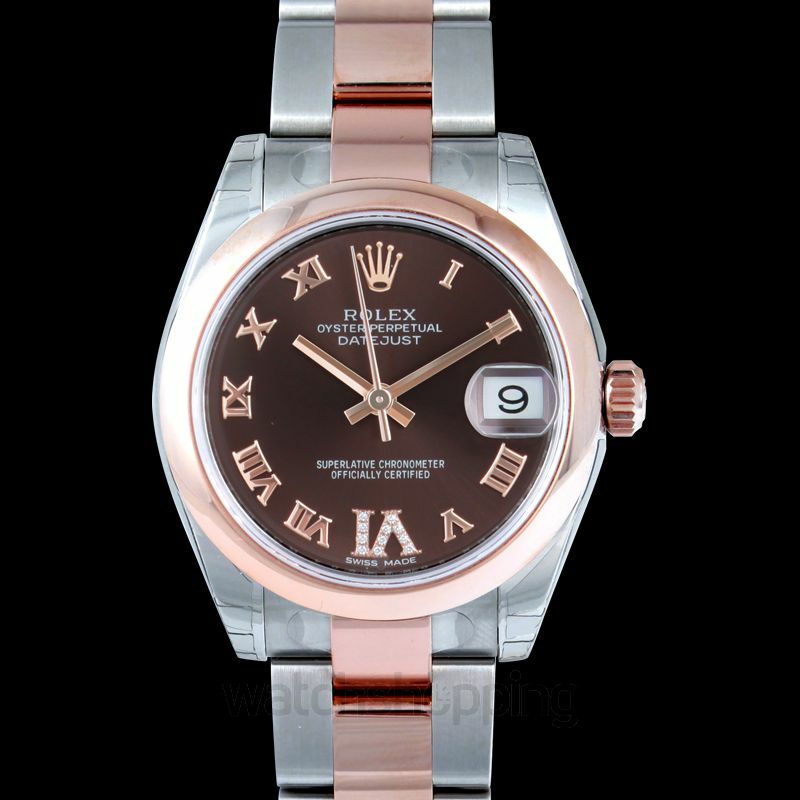 A precisely created watch from Rolex, this is another watch worth-buying. 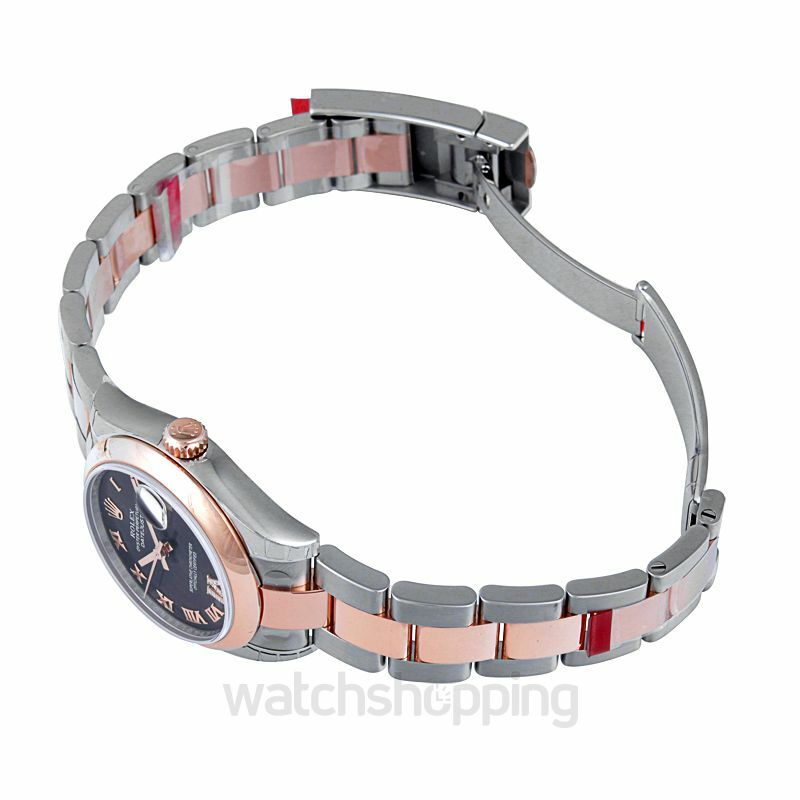 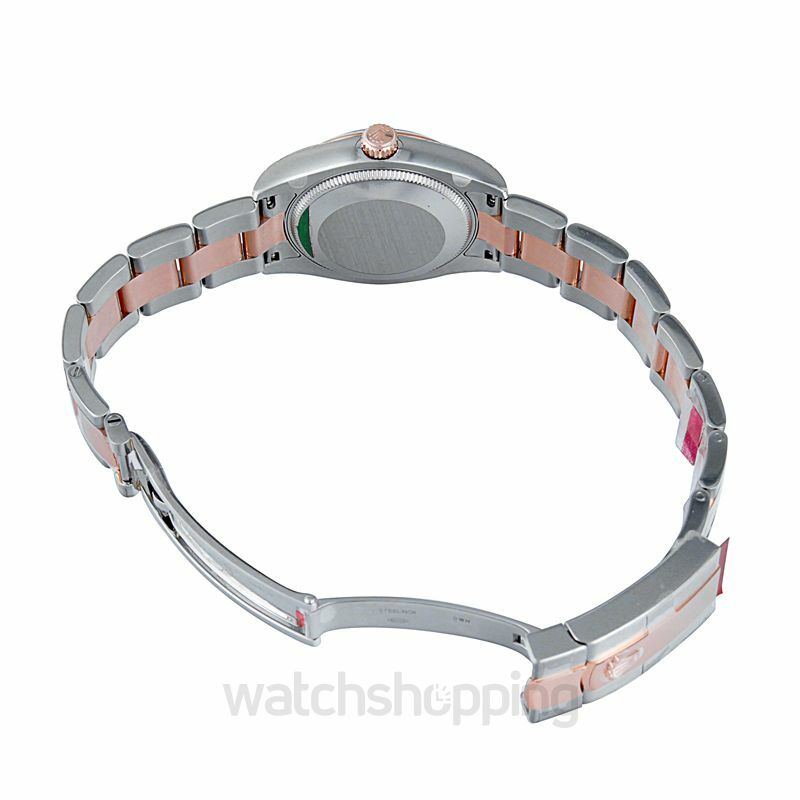 Made with a mix of Oyster steel and 18ct Everose gold, the casing, and the bracelet have a stunning appeal. 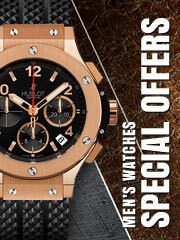 The glittering chocolate brown color dial is set with diamonds. 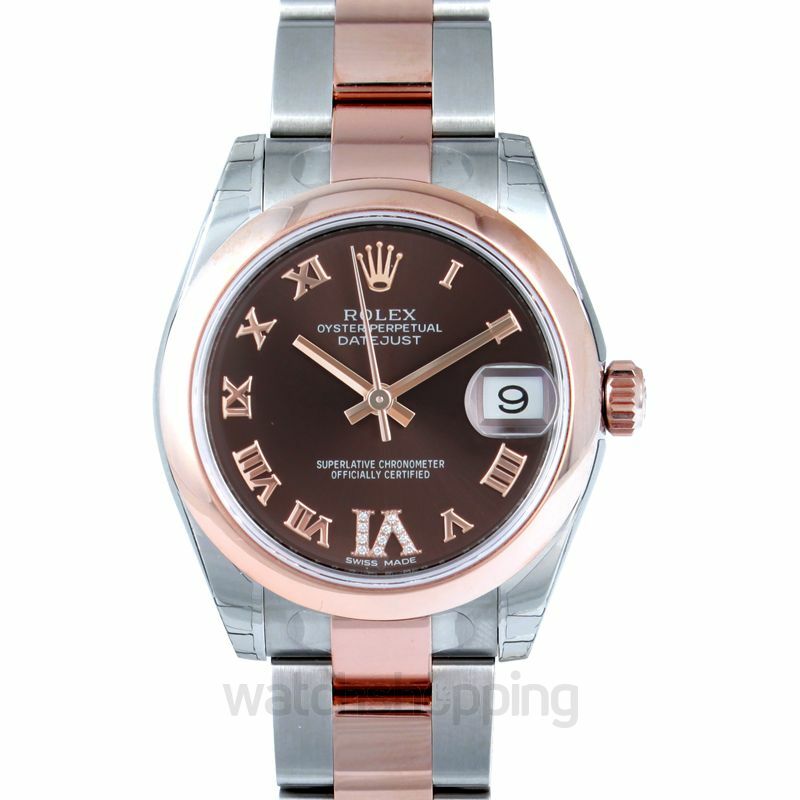 Meanwhile, the hour markers are created with historic Roman numerals that add to the look. 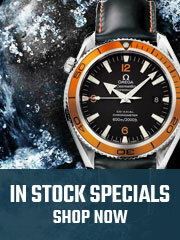 Further, the dial has a Cyclops lens over the date and a dome-shaped bezel to give it a unique look.